An international team led by researchers from the CNRS, Grenoble Alpes University and the Astrophysical Department /AIM Laboratory of CEA-Irfu suggests a radical modification on our ideas on the formation of stars. 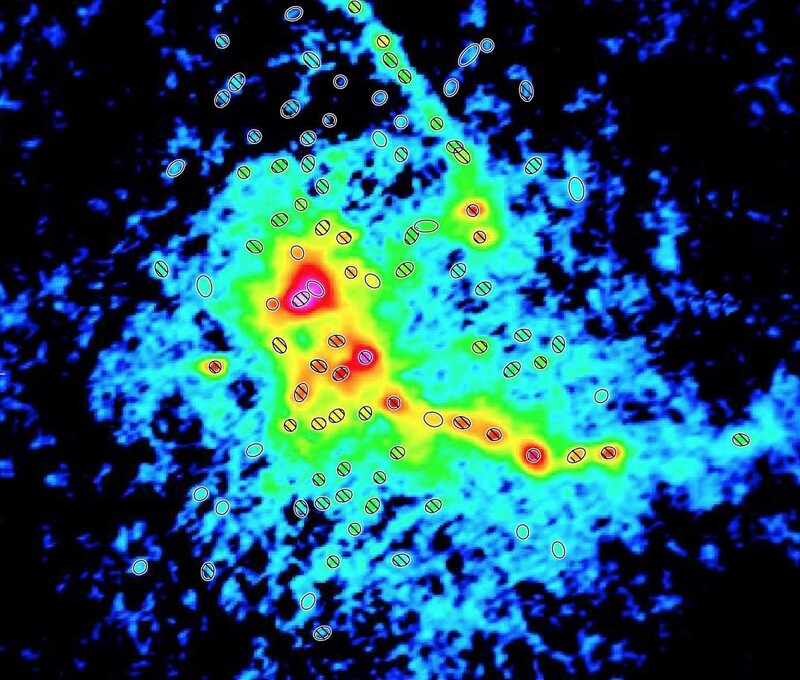 The accuracy of observations provided by the Atacama Large Millimeter Array (ALMA) in Chile has made it possible to measure the quantity of massive star-forming cores in a very active far-away region of our galaxy, and thus to show that their proportion is higher than expected. Published on April 30, 2018 in Nature Astronomy, these results could call into question an astrophysical law on which many current knowledge is based. In space, behind the veil of nebulae, clouds of gas agglomerate and collapse to form the first structures that will give birth to the stars: the proto-stars or progenitor cores. They evolve in groups, accumulate matter and fragment until a cluster of young stars of diverse masses is born whose distribution was described in the form of an astrophysical law by the American astrophysicist, Edwin Salpeter, already in 1955. Astronomers had observed that the proportion between massive and non-massive objects was the same in the clusters of progenitor cores and among newly formed stars. This suggested that the mass distribution of stars at birth, called the IMF (Initial Mass Function), was simply the result of the mass distribution of the cores that give birth to them, called CMF (Core Mass Function). But this conclusion is the result of the study of the molecular clouds closest to our solar system, which are not very dense and therefore not very representative of the cloud diversity of our galaxy. Is the relationship between CMF and MFI universal? 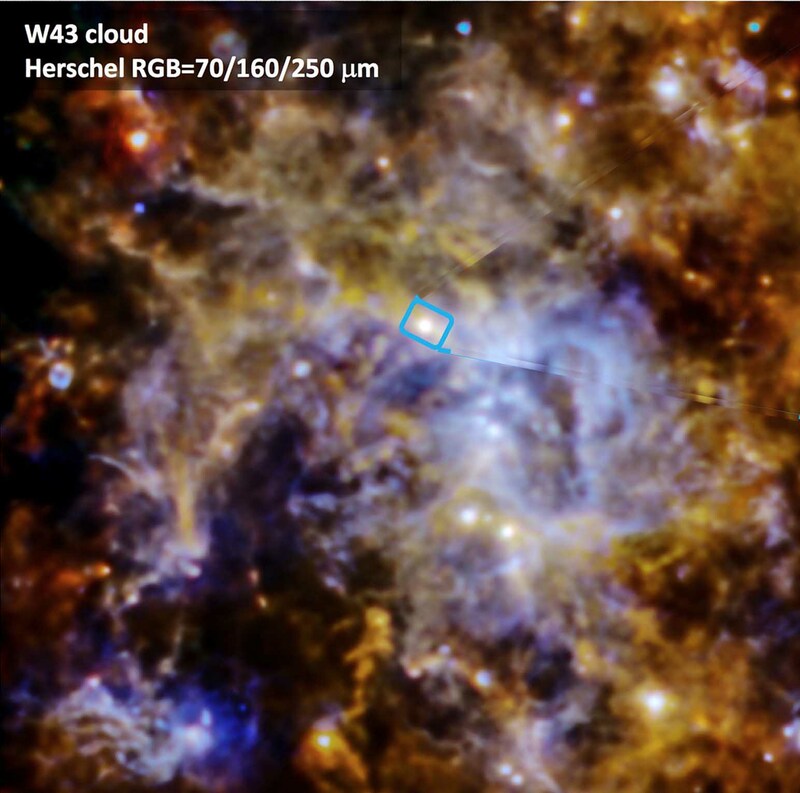 What do we observe by focusing on denser, more distant clouds? These are the questions that researchers from the CNRS, CEA Astrophysical Department and Grenoble Alpes University asked themselves when they examined the cluster of W43-MM1 progenitor cores whose structure is much more typical of the molecular clouds of our galaxy than those previously observed. Thanks to the unique sensitivity and spatial resolution of the ALMA antenna array installed in Chile, researchers have established a statistically robust core distribution over an unparalleled mass range, from solar-like stars to stars 100 times more massive. Surprise: this distribution does not follow the law of 1955! The team will continue this work with ALMA in a consortium of about forty researchers. Their goal: to study 15 regions similar to W43-MM1 to compare their CMF and evaluate if the characteristics of this cloud are generalizable. 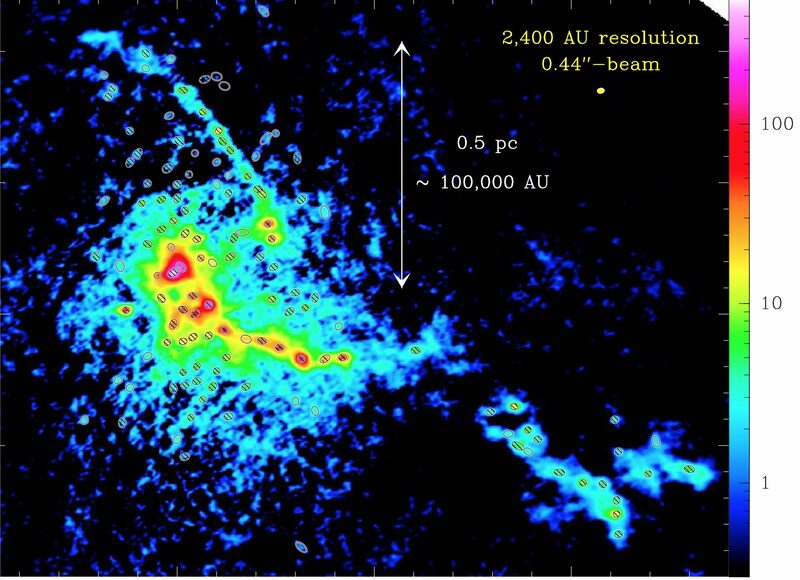 "The unexpectedly large proportion of high-mass star-forming cores in a Galactic mini-starburst". F. Motte, T. Nony, F. Louvet, K. A. Marsh, S. Bontemps, A. P. Whitworth, A. Men’shchikov, Q. Nguyen Luong, T. Csengeri, A. J. Maury, A. Gusdorf, E. Chapillon, V. K?önyves, P.Schilke, A. Duarte-Cabral, P. Didelon and M. Gaudel, published in Nature Astronomy, le 30 avril 2018.